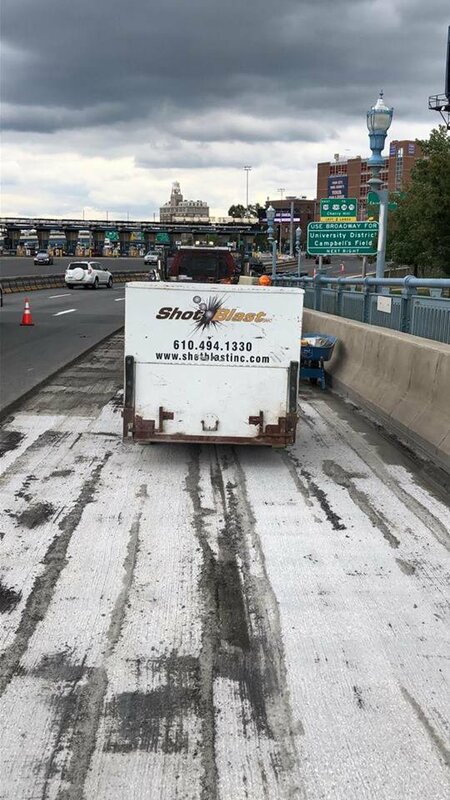 This job on the Ben Franklin Bridge has been a long work in progress. Check out some photos of us on week five of blasting and scarifying the road as daily traffic breezes past. 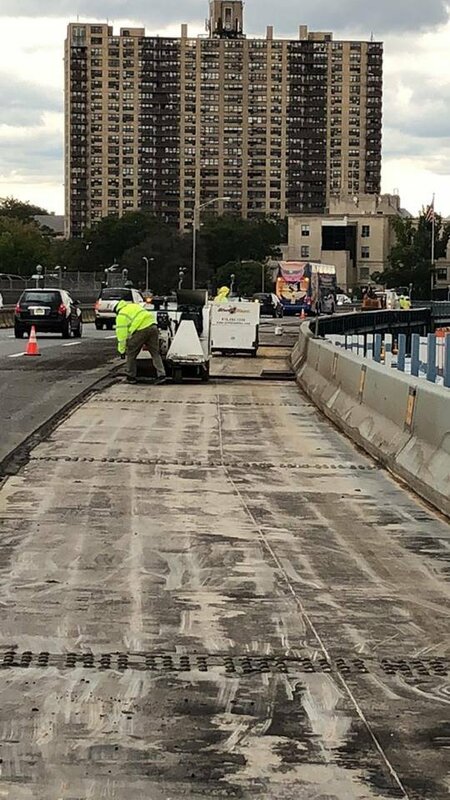 Once the job is done, the bridge should be back to business as usual with an updated new surface!